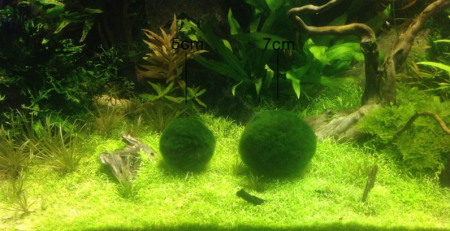 Cladophora Aegagropila linnaei, commonly known as marimo (Japanese for “ball seaweed”), lake balls, or moss balls, has been declared a national treasure by the Japanese government, and it has also become a treasure to fish tank and plant enthusiasts alike. 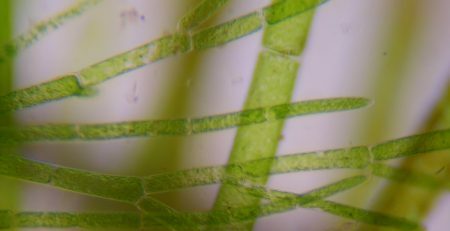 A. linnaei is a fresh water, filamentous green algae. Though it is mostly found as free-floating filament or growing on rocks, its popularity is due to the rare existence of its perfect, spherical form. The sales of artificially created spherical forms have now become widespread. 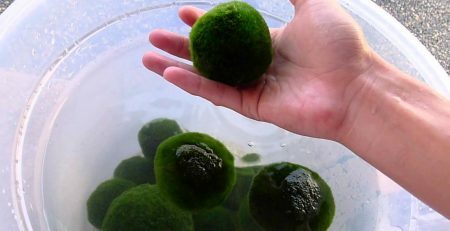 Some have wondered whether marimo moss balls are edible, but as they are freshwater algae, they will be toxic––it’s best to stick to eating their saltwater counterparts. Besides, these organisms remarkably defy the distinction between organic and geometric shapes; why hide that in your belly? Anyone who wants a more comprehensive answer than ‘try it and see’ will have a hard time finding too much information about whether the little moss balls are edible or not. 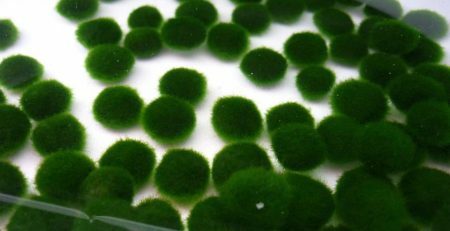 In fact, since most people tend to think of marimo moss balls as pets, the question is something akin to asking whether a pet rabbit is edible. In theory, marimo moss balls are harmless when consumed, but in practice, they work far better as ornaments. 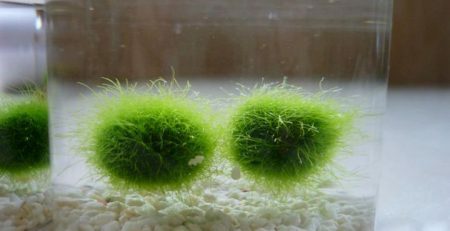 Marimo moss balls are certainly an attractive meal for goldfish and other bottom dwellers, so owners should keep them in a separate tank reserved for the algae. The A. linnaei algae most likely originated in Japan, but today it is most commonly found in various parts of Central and Northern Europe. The natural occurrence of the spherical marimo balls, however, can only be found in Lake Akan, Japan and Lake Lake Mývatn, Iceland. 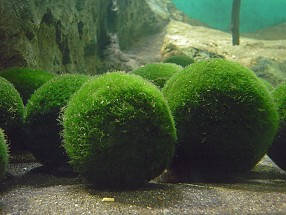 This rarity is caused by the necessity for specific wind-induced currents and low-light adaptedness which allow the marimo to roll around the bottom of the lakes, forming spheres. Care for Marimo Moss Balls is quite simple as they thrive in mere tap water and household lighting. They can be placed in a glass, jar, or tank of tap water––not filtered water because they require minerals. Water must be replaced every week or two. Household lighting does allow for photosynthesis to occur, but they will flourish in indirect sunlight as well. Rotate the moss balls once a week as well to be sure all sides get exposure to light. 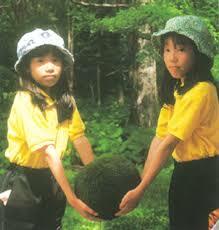 Marimo can be propagated by a very simple method of division. Marimo contains no center or kernel, so it is safe to cut through the interlaced filaments with scissors. 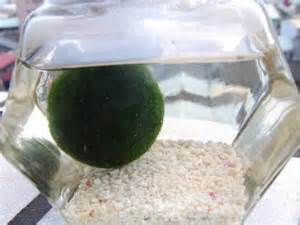 To divide, drain the marimo by squeezing gently, then cut the parent marimo into halves or quarters with sharp scissors. 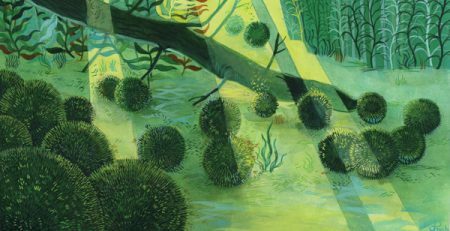 Round off the spheres by rolling the divisions between the palms; tie thread around the balls to keep the shape spherical. The new divisions will only grow about 5mm each year, but they will eventually thicken, cover the thread, and retain the spherical shape.